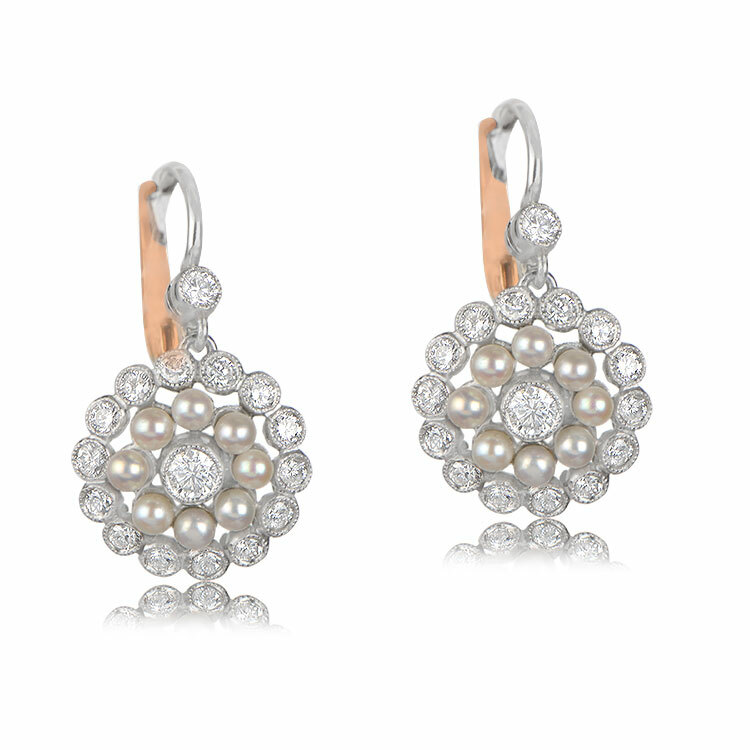 A stunning Edwardian Style Pearl and Diamond Earrings set in Platinum. 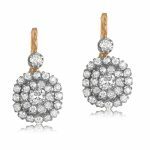 The centers of these earrings have 0.08 carats and further surrounded by a double halo of pearls and round diamonds. 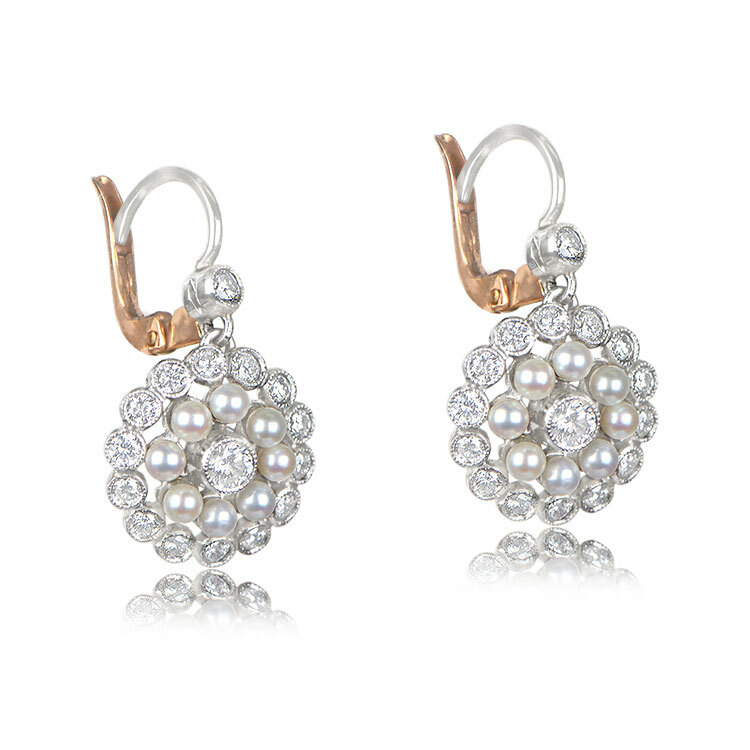 Each earring has 8 pearls and 15 diamonds with the weight of approx 0.65 carats. The lever-back is 18k yellow gold. 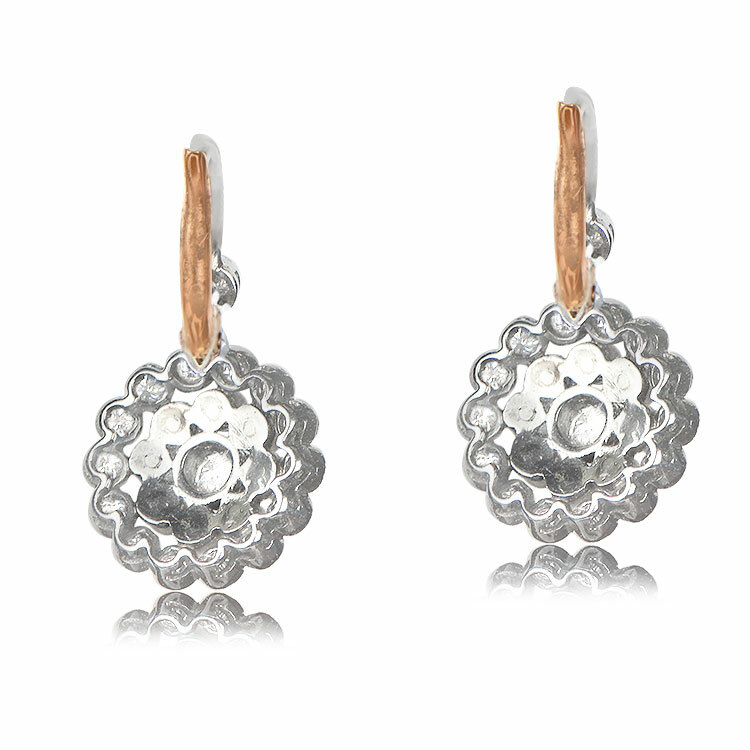 If you have any questions about our Canvey Earrings, please feel free to ask. 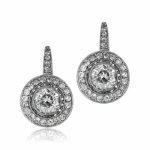 SKU: GS585 Category: Vintage Earrings - Contact us and request additional pictures.